While working with the Sangha a few nights ago, setting up for Vesakha Day, someone asked the symbolism of the Rooster in Buddhism. 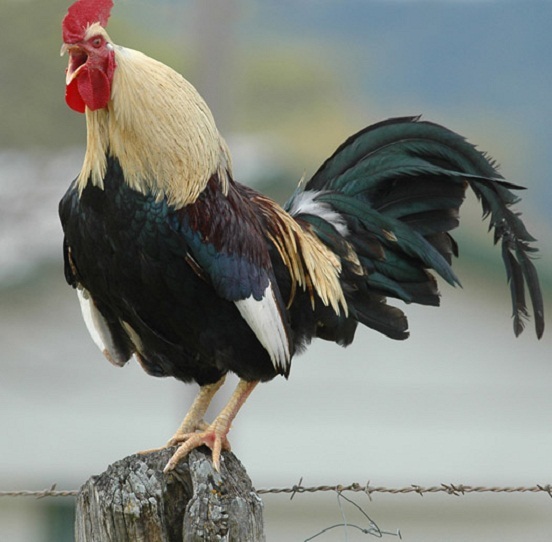 I overheard that it is a symbol of awakening, because of course the Rooster crows in the morning and wakes people up. This got me thinking about how difficult is is for many of us to wake up in the morning. Our bed feels so good, and that semi-conscious state is one of weakness, comfort and laziness. Many of us may think to ourselves, “just five more minutes”. Well I think this may be exactly the problem with any of us attaining enlightenment. We are so comfortable in this semiconscious state, that it becomes very easy to remain in samsara. Wake up, go to sleep, wake up, go to sleep, then one day we die. Symbolically, this is like the endless cycle of death and rebirth. And I would prefer to put an end to this cycle. Don’t get me wrong, I find myself in that sleepy state many times a day. But I am also gaining a greater awareness of this, and have a strong determination to wake up. And just like when I was a little boy, and sometimes my Mom had to really scold me to wake-up, I am now so grateful that I have the Blue Lotus Temple to offer this encouragement and love. More than ever, I see that enlightenment is right here for any of us. We are just too attached to this sleepy state of lazy existence. Well, at least I am. The Rooster is a reminder to me that it’s time to wake up. Wipe the sleep from my eyes, see and accept all things as they are, and live mindfully with compassion love and equanimity. Free your mind Neo My friend, my hardship, my teacher Whats love got to do with it? ← Can you manage your emotions?